Ben Gurion’s real goal in obtaining nukes was political. He wanted to ensure Israel would never have to negotiate away the gains it made on the battlefield. He wanted a weapon he could hold over the heads of any enemy, that would ensure he never had to renounce anything that was rightfully Israel’s (in his mind at least). So Israel’s Bomb has enabled it to reject virtually every peace initiative offered going all the way back to 1967. Israel’s leaders knew that the U.S. would never gamble that it wouldn’t use WMD if it had to. So American presidents already had one hand tied behind their backs in such negotiations. In a card game, when one party holds the ace of spades in his pocket and everyone else playing knows this, it’s not much of a game, is it? The sheer chutzpah that Peres employed to get what he wanted was astonishing. He played on the heartstrings of German guilt to obtain funding for the nuclear arms project. He recruited Arnon Milchan as a covert operative to organize a conspiracy to steal highly enriched uranium from the U.S. depository where it was stored. Peres negotiated with the French a complex deal to build the Dimona plant, which to this day produces the plutonium for Israel’s WMD arsenal. Peres facilitated outright theft as well. If Israel waited to produce the highly enriched uranium it would need to create a Bomb on its own, it would’ve taken years longer than it did. If it could procure the uranium by other means it would immensely speed the process. That’s how the father of the Israeli Bomb recruited future Hollywood film producer Milchan to steal hundreds of kilos of nuclear materials from a warehouse in Pennsylvania with the connivance of American officials who were pro-Israel Jews recruited to the task. Roger Mattson recently published a book on the subject, Stealing the Atom Bomb: How Denial and Deception Armed Israel. This article summarizes his findings. Among them, are that a group of American Jewish scientists and engineers founded the company which likely embezzled and transferred to Israel enough material to make six nuclear bombs. Several officers of this company later became national officers in the Zionist Organization of America. 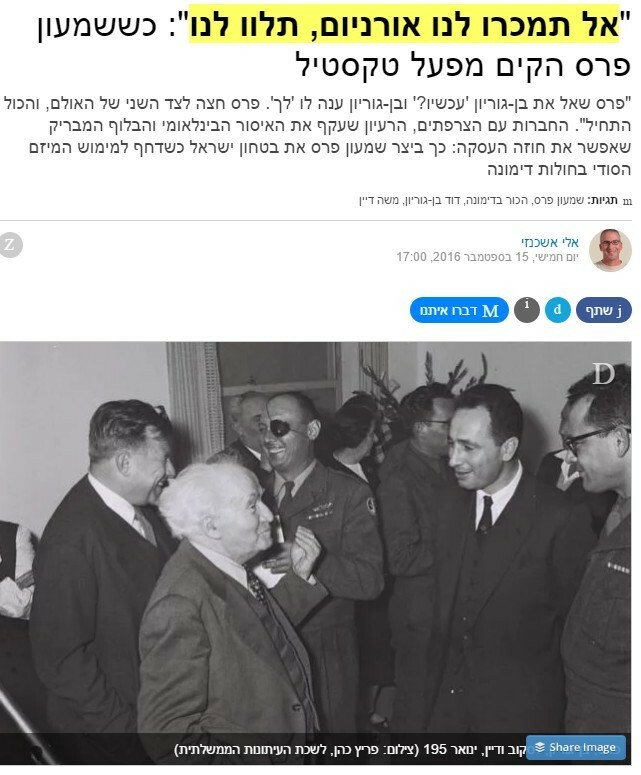 A founder of the company fought in the Haganah during the 1948 War and was a protege of future Israeli intelligence chief, Meir Amit. Key figures in U.S. intelligence even suggested that the company itself was established by Israeli intelligence in order to steal U.S. materials and technological expertise in the service of Israel’s nuclear weapons project. All of this means that leaders of one of the key organizations in the Israel Lobby aided and abetted a huge national security breach which gave Israel the bomb. So began the real effort to build an Israeli Bomb. The reactor was completed in 1960 and by 1967 Israel had its first primitive nuclear weapon to use in case it lost the 1967 War.